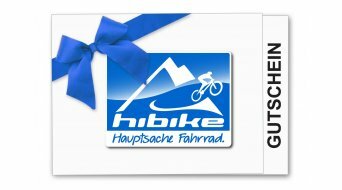 A HIBIKE gift is certainly the perfect choice for every biker too, as the receiver can choose her/himself from our enormous online range of products. The voucher can be used online as well as in our store in Kronberg. The HIBIKE voucher is always a good idea!